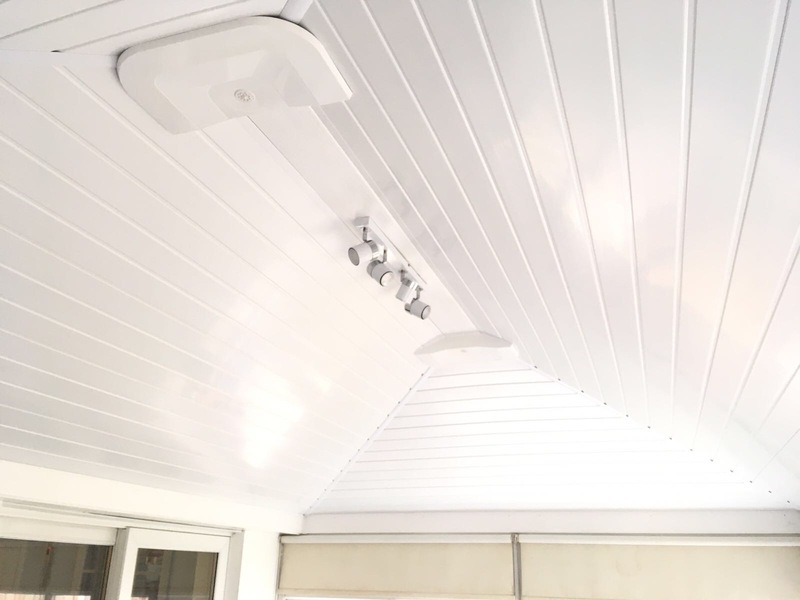 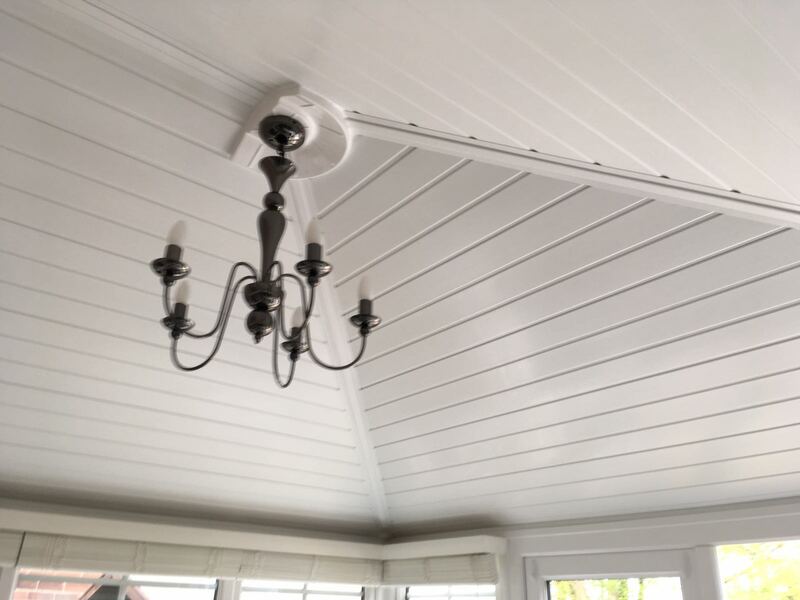 The Sun-Room insulated conservatory ceiling is a lightweight, fully insulated and panelled ceiling that will transform the internal appearance and feel of your conservatory. 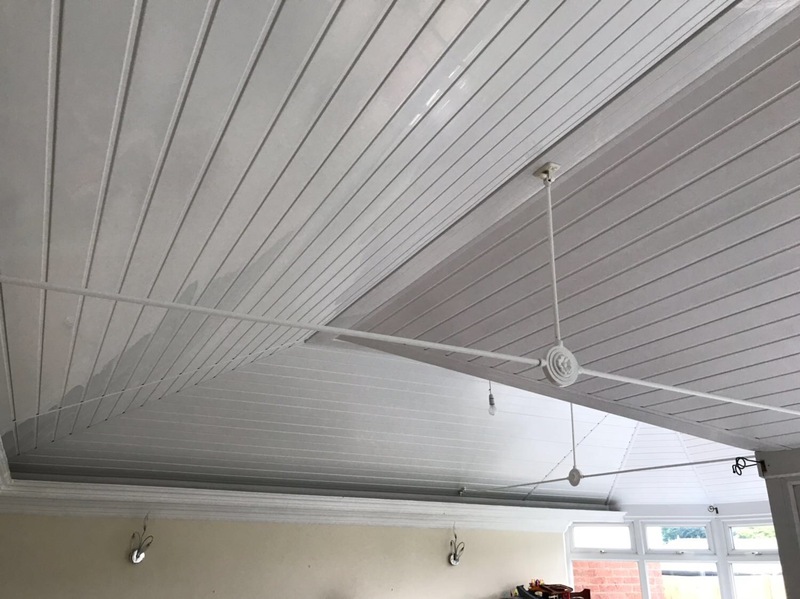 Working on the inside, using a lightweight, highly engineered, fire retardant insulation and then fitting hollow uPVC panelling this system retains the shape of your existing conservatory roof while transforming your conservatory into a bright, insulated space that can be used all year round. 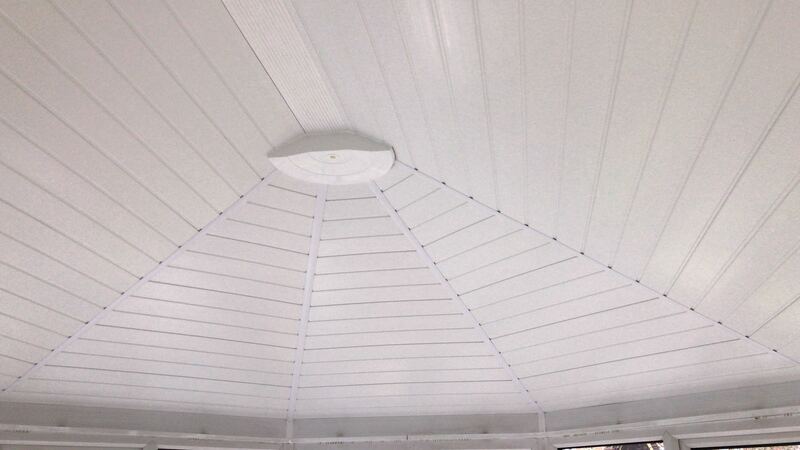 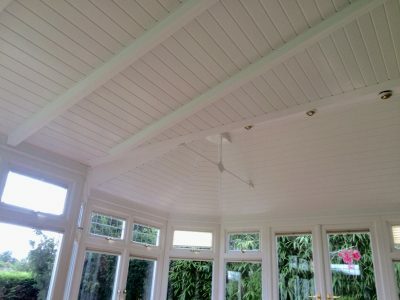 Installation of the Sun-Room ceiling is kept solely to the interior of the conservatory ceiling. From the exterior, your conservatory will look almost exactly the same. 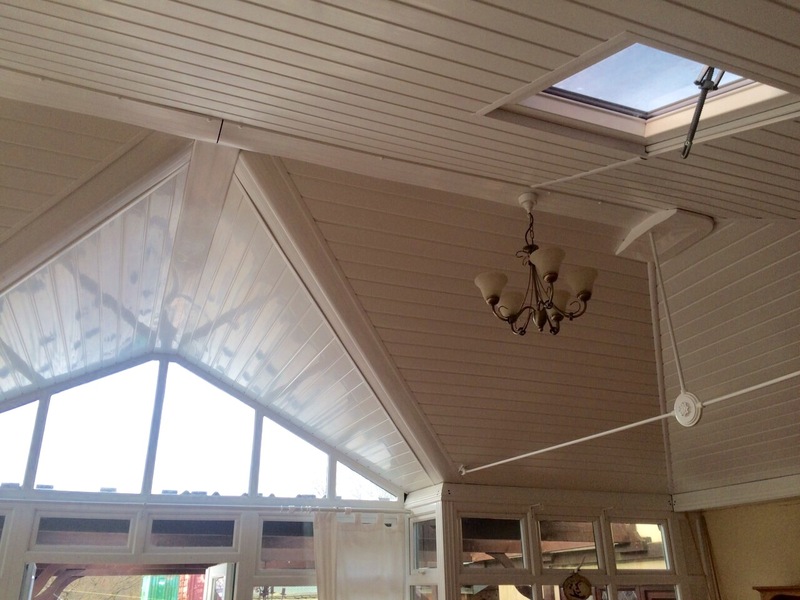 5 Year CPA insurance backed guarantee. 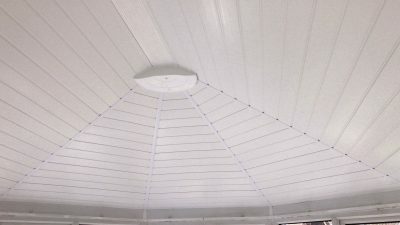 Shape of existing ceiling is preserved. Insulation U-value of 0.175 W/m2K. Equivalent to 200mm of Rockwool insulation. Insulation operating temperatures – 40oC to +80oC. 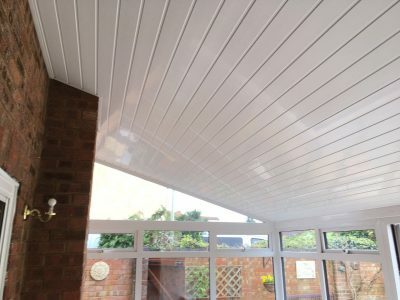 20 mm thickness (based on standard installations). 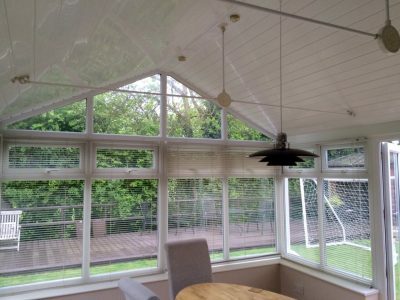 Not at all, the price we quote you by email or at your free home visit is the final price you will pay. 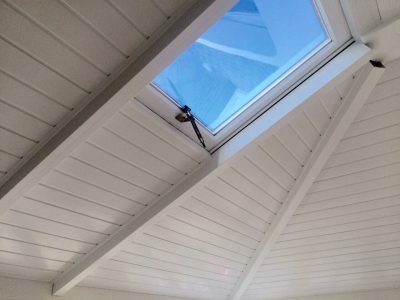 Best of all, we don’t require any payment until we have installed your Sun-Room ceiling.